It’s this fast-paced, time-saving, convenience-driven world that is giving rise to the frozen food phenomenon. Not uncooked frozen veggies or fish, but readymade nutritious homestyle meals. Its predecessor, fast food, initially bridged this convenience gap, but with South Africans increasingly conscience about the wholesomeness of our diets, there developed a need for more. Frozen for You, the latest product offering from celebrated catering company By Word of Mouth, has been created to fill this gap in the market. 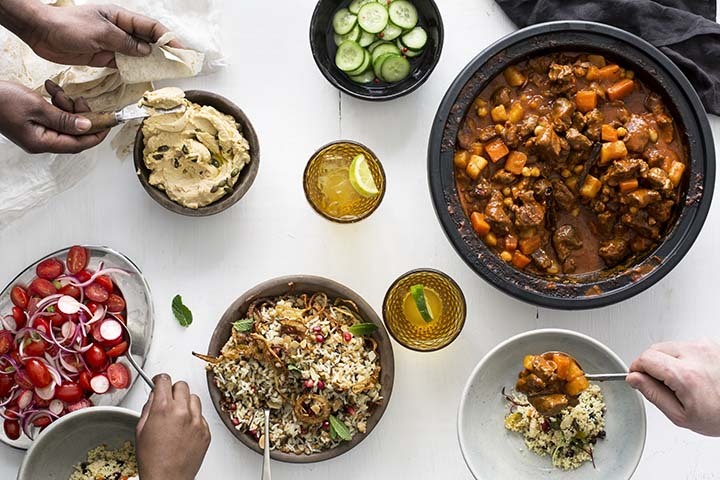 Adrian Short, CEO of By Word of Mouth, shares why South Africans are ready to stock up on frozen meals. Taste is the biggest differentiator. “Because our freezing process preserve the nutrients in the food to ensure that it is as fresh as the day it was made, without adding any preservatives, it offers truly delicious and authentically homestyle meals, that you cannot get at a fast food chain,” says Short. Additionally, using simple traditional methods, and quality ingredients, ensures that it’s packed with the flavour of home cooking – fit for a family meal or dinner guests. There are countless families that prepare multiple dishes for a single mealtime, because people have different dietary requirements – either meat-free banting friendly or less spice for sensitive palettes. “Frozen meals come in handy in situations like this, where you can buy a variety of meals – perhaps a Durban Lamb Curry for the adults, and Mac and Cheese for the youngins,” Short explains. Essentially, catering for everyone, without doubling the cooking time. Designed to be ultra-convenient; each product can be heated from frozen in its tray or container; upping access to quality homestyle meals, chockfull of the best local produce. And because it can either be delivered to your door, or stockpiled in your freezer, it’s readily on-hand for wholesome family meals, or for hosting intimate dinners at home…. Ready to save time when it’s needed most. “Frozen meals speak to consumers that are navigating the day-to-day hustle; switching out time in the kitchen for quality time, without the homestyle meal trade-off,” says Adrian. Explore the world of By Word of Mouth on Facebook (@Bywordofmouth.sa), Twitter (@ByWordofMouth1) and Instagram (@Bywordofmouth).